Hadas Mizrahi, whose husband he murdered, says terrorists should face death, not be freed in deals. Hadas Mizrahi, the widow of Col. Baruch Mizrahi, who was murdered in a terrorist ambush on Passover eve, intends to fight to have his murderer sentenced to death. The murderer was serving a sentence in an Israeli jail but was freed in 2011 as part of the Shalit deal. If he had been executed, she said, he could not have been freed and could not have murdered her husband. Mizrahi also demanded that no terrorists be freed in return for the freedom of the three teenagers abducted 11 days ago. “They need to be freed regardless of the terrorists, and I am full of hope that they will be freed,” she stated. Prime Minister Binyamin Netanyahu said earlier Monday that the state intends to demolish the home of the terrorist who murdered Mizrahi. The terrorist, Ziyad Awad, was arrested a month ago by Yamam special forces, along with his 18-year-old son in Tarkumiya, a village to the north west of Hevron. The Israel Security Agency (ISA or Shin Bet) announced that investigations revealed Awad had obtained a motorcycle and Kalashnikov rifle so as to commit the terror attack. He arrived in the Hevron area outside Kiryat Arba where the shooting occurred a week in advance to plan where he would stand while shooting, to collect information and scout the area. 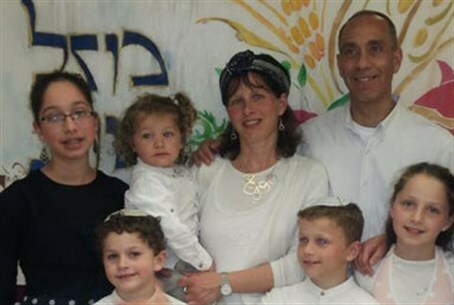 Mizrahi was driving to Kiryat Arba for a Passover seder meal with his pregnant wife and three of his children when the terrorist opened fire on the family car. He served as head of the Technology Division in the Sigint Unit, part of the Intelligence Brigade in the Investigations and Intelligence Branch of the police. After the attack, Awad reportedly told his son Iz-a-Din that his motive for murdering Mizrahi was religious, and that "according to the religion of Islam, everyone who kills Jews goes to paradise."